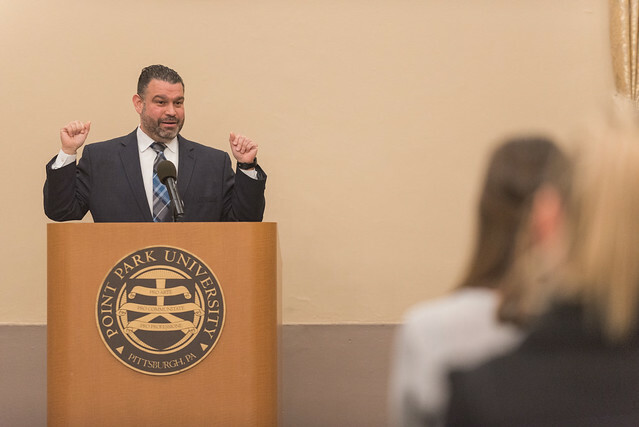 Pennsylvania Secretary of Education Pedro Rivera delivered an inspiring, relatable talk about leadership March 22 at Point Park University as part of the Ed.D. in Leadership and Administration Speaker Series. “Mr. Rivera defined leadership as the act of making a declaration and then the ability to have people follow you. I have never heard leadership described in this way and found it to be relevant and meaningful for K-12 education,” explained Sean Aiken, Ed.D. student and Superintendent of Schools for Shaler Area School District. Rivera also talked about the importance of making all students college and career ready. “It was very beneficial to hear Mr. Rivera state that he supports the need for multiple measures of accountability for our students. His lecture certainly was related to my doctoral studies since I am researching accountability measures and how they are used for English learners in Pennsylvania,” said Gina Oliphant, Ed.D. student and K-12 ESL supervisor for the Allegheny Intermediate Unit. Prior to his appointment as Pennsylvania’s Secretary of Education, Rivera worked as a teacher, assistant principal, principal and superintendent. “He approaches his role as a practitioner, not a politician,” Aiken said. Alumna Michele Capaccio, Ed.D., English teacher at West Mifflin Area Middle School and part-time faculty member at Point Park University and Duquesne University, came to campus to hear Rivera’s presentation. 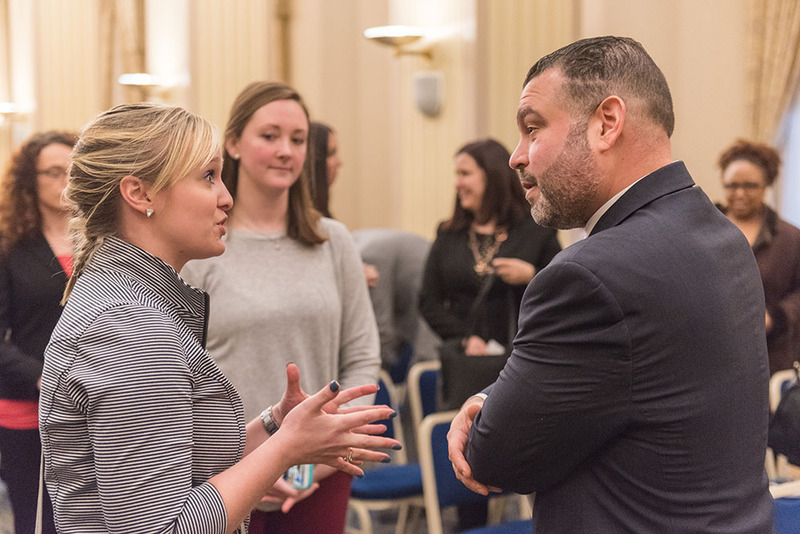 “The lecture was extremely useful to educators because Secretary Rivera was able to relate to teachers based on his own experiences because he also was a classroom teacher. Secretary Rivera shared the story about how one of his student teachers reminded him that teaching is the only profession that impacts all other professions. He clearly respects educators and values their opinions,” Capaccio said. Previous speakers for the Ed.D. in Leadership and Administration Speaker Series were Pittsburgh Mayor Bill Peduto and Pittsburgh Pirates President Frank Coonelly. The Ed.D. program, which is part of the University’s education department, plans to continue bringing in various types of leaders as guest speakers including CEOs, as well as nonprofit, education and sports leaders, to expose students and alumni to a wide spectrum of leadership styles and theories.